We’ve all been there. We’re in love with our fresh new, white sneakers. The best part is when they are gleamingly bright when you first buy them, but that doesn’t last long. It only takes a few weeks for them to turn off white, yellow, stained, brown, sad. 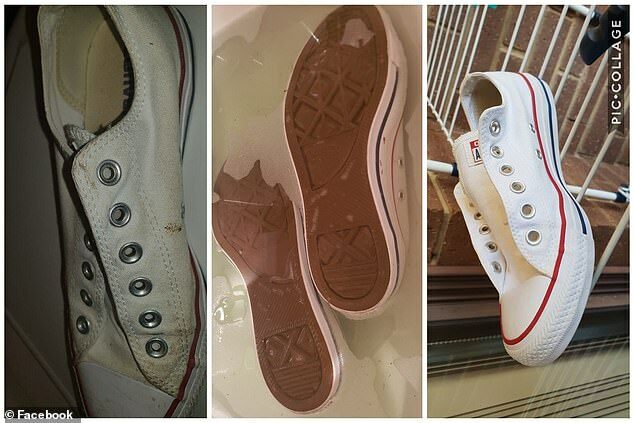 An ACT mum has come to the rescue after she stumbled across this $6 white sneakers saving hack. This mum was just about the throw out her white Converse after they had turned a funny yellow colour. She tried heaps of different methods to clean them and nothing worked. So she tried the last thing she could think of, denture cleaners. It worked an absolute treat! ‘I literally winged it with these… my sink is quite small so I filled it with hot water and dissolved six tablets, then submerged shoes and gave them a very light scrub,’ she said. She used the brand Polident Denture Cleaners.